Situated in the heart of Abu Dhabi and framed by lushly landscaped gardens, Le Méridien Abu Dhabi is set against the sparkling high-rises of the city and the indigo waters of the Arabian Gulf. 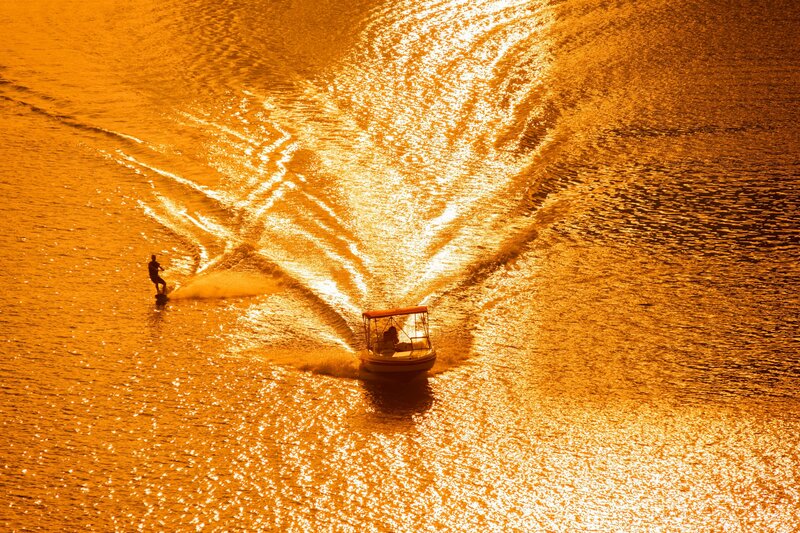 It is the largest of the United Arab Emirates and Abu Dhabi features spectacular urbanization coupled with the charm of an ancient culture. Le Méridien Abu Dhabi features indoor and outdoor meeting spaces, a day-lit spa steam room and sauna, and 15 exceptional restaurants and lounges. Verdant winding walkways connect a picturesque village of eating places and guest rooms. 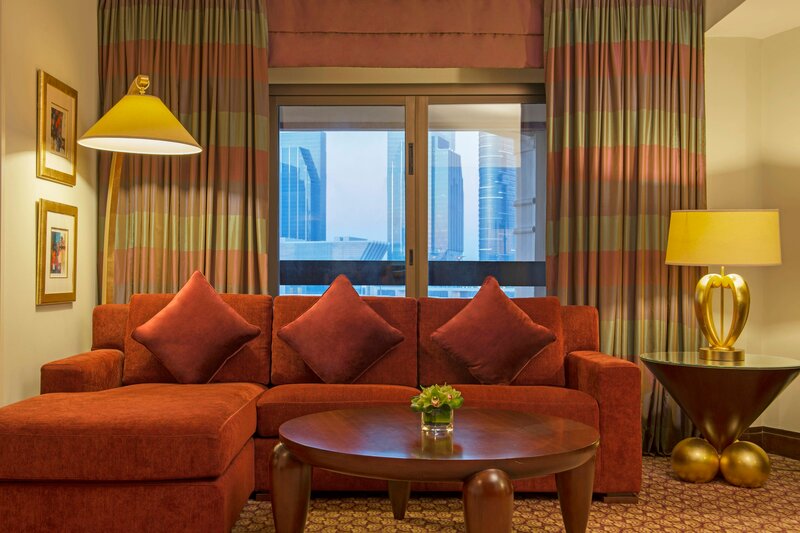 Le Méridien Abu Dhabi is just minutes away from the famed sites of the city, including the Abu Dhabi Mall, Cultural Foundation, Petroleum Exhibition and the Zayed Heritage Village. The Village offers a garden like atmosphere with multiple restaurants and cuisines. Enjoy themed nights, live entertainment and events throughout the year. Amid an authentic ambiance, our popular Italian eatery uses fresh premium ingredients in its mouthwatering pastas, risottos, and pizzas. Enjoy authentic English pub flare, a traditional atmosphere and a wide selection of draft beers at this lively eatery featuring outdoor seating overlooking the Center Garden. Our sports bar features a tasty snack menu, an upbeat atmosphere, and international sports broadcast on large screens indoors and outdoors. 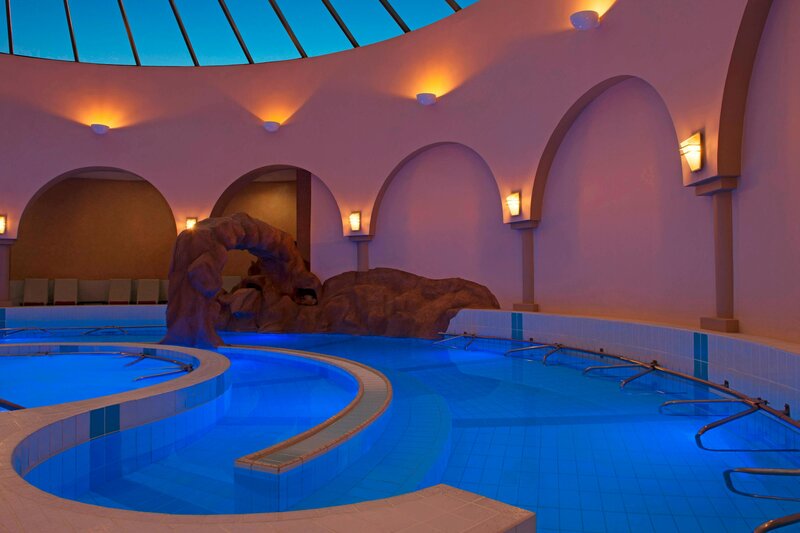 Eden Health Club & Spa is a sanctuary with experienced therapists, unique offerings such as a Hammam pools & an aquamedic pool with tennis, squash and volleyball courts, watersports, fitness center, private beach and pool. A place where the physical, mental and spiritual aspects of your well-being are equally cared for and where you can rediscover your strength and sense of self. Amidst the hustle and bustle of the city, there is a retreat with landscaped gardens and a beautiful beach. 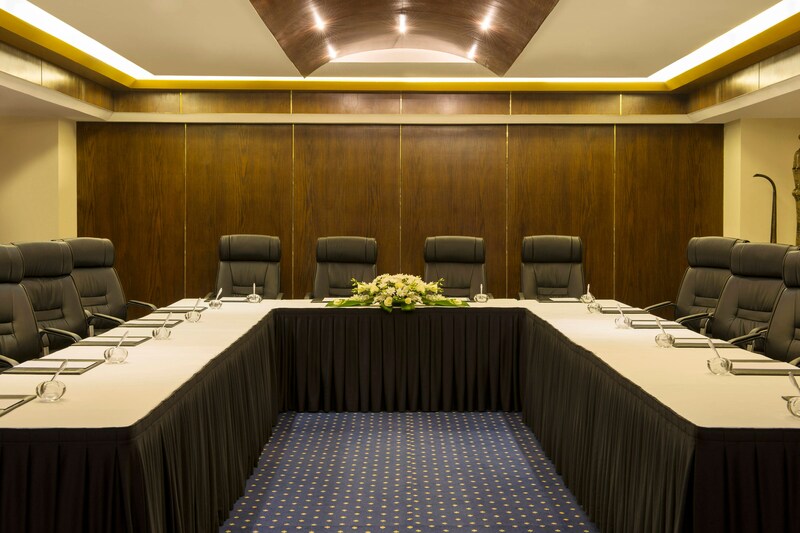 Our hotel offers conference and banqueting facilities, a business center furnished with state-of-the-art facilities, Royal Club lounge and a Presidential suite. Meeting rooms are large and spacious with natural daylight and creative F&B breaks. Our stunning Versailles Ballroom is ideal for conferences and gala dinners. Take advantage of our stately Vincennes Room, perfect for seminars and board meetings. Le Méridien Abu Dhabi offers excellent conference and banqueting facilities and a business centre, furnished with state-of-the-art facilities. 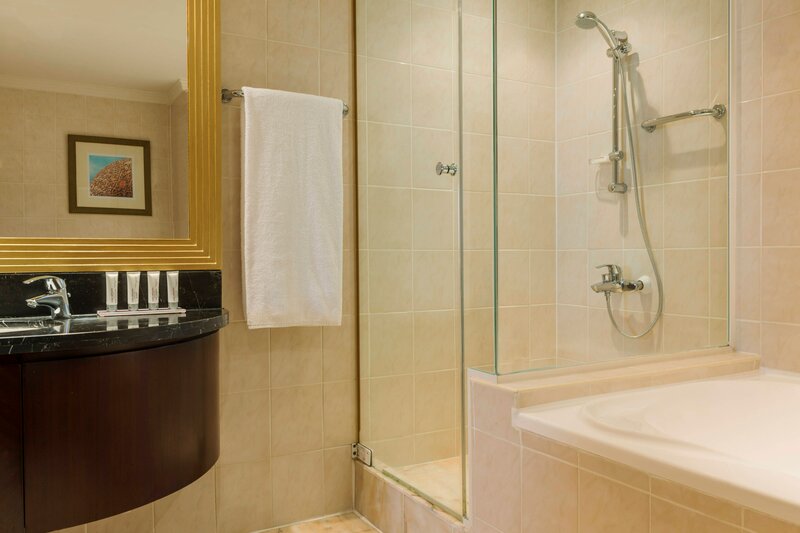 Our Presidential Suite boasts a 135 square- meter living space. With a polished boardroom table, it is perfect for private meetings. 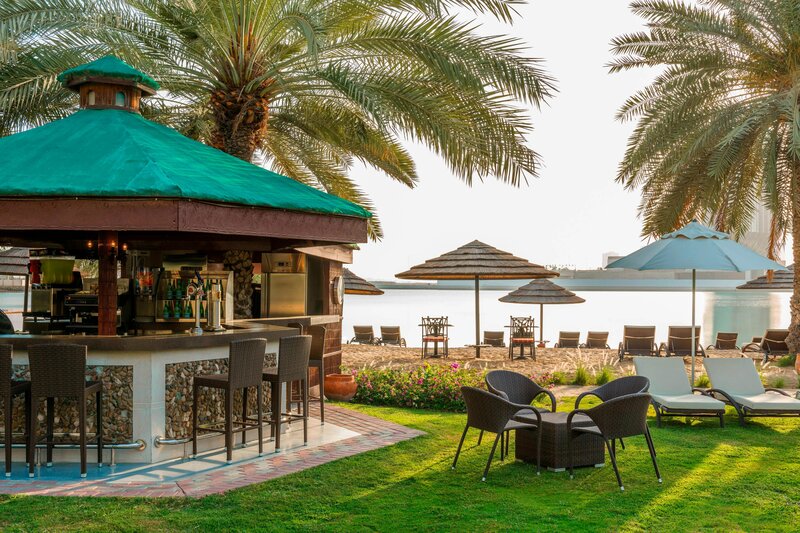 Le Meridien Abu Dhabi boasts 234 guest rooms and a beautiful Royal Club Lounge that overlooks the beach and Al Maryah Island. 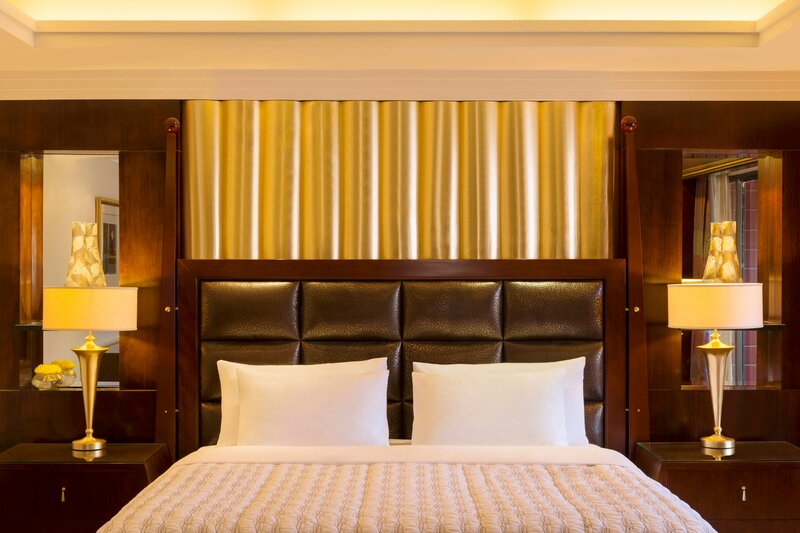 We offer a truly unique experience in every one of its stylish guest rooms and suites. Warm earth tones and luxurious sitting and work areas create an inviting ambiance. Le Méridien offers the opportunity to discover unique cultural experiences both within the hotel as well as across the local community. Le Méridien is dedicated to providing these experiences as well as recommending the most enriching art, musical, fashion and design events that the destination has to offer.